Château de la Messardière offers magnificent panoramic views over the Bay of Saint-Tropez, vineyards of Ramatuelle and beaches of Pampelonne. Located just 3 minutes from the sea and Saint-Tropez town centre, this authentic 19th-century castle, bordered by 25-acre grounds, is an exceptional vacation choice. The refined 465 m² Valmont and Cinq Mondes Spa is combined with a fitness center with pool, jacuzzi, steam baths, and high-tech exercise and cardiotraining machines. All 57 suites and 60 rooms have balconies or private gardens. The hotel's gourmet ‘L’Acacia’ restaurant specializes in refined and generous Southern-style cuisine. To top off your Spa experience, ‘Open Sky ‘ restaurant serves a range of sunny dishes and delicious light cuisine by the poolside. 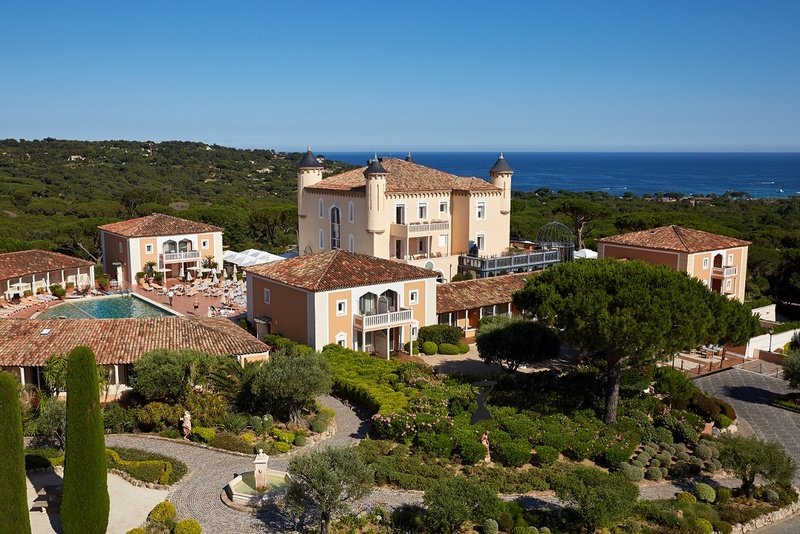 More Mediterranean delights lie just a couple of minutes away, with Tropezina beach plus the stunning, unspoiled landscapes of the Bay of Saint-Tropez and sparkling Var coast.